communities. 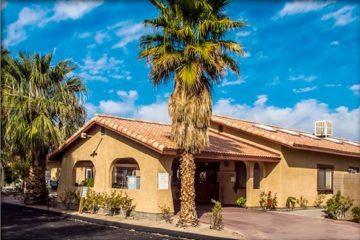 Desert hospitality is offered at historic inns and cottages, modern hotels, desert motels, RV facilities, camping and vacation home rentals. 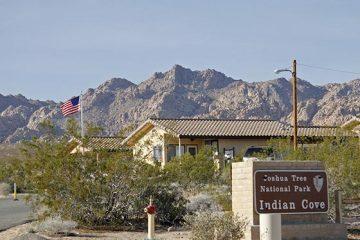 Indian Cove Campground is located off of Highway 62, on Indian Cove Road on the west end of Twentynine Palms city limits. Indian Cove Road dead-ends at this secluded area.... more. 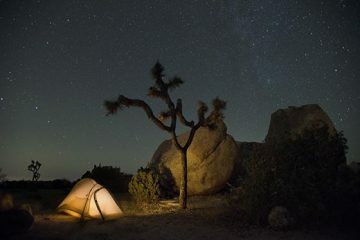 More than 500 campsites are available in the park. Some require reservations, some are first-come, first-served. Three areas have group campsites that can accommodate 10 to 60 people, and reservations... more.